Information overflow and deadline pressure are rising concerns for laboratories too. Therefore it is more important than ever that laboratory personell can focus their efforts on their core tasks – performing the anlyses. To support this from our side as a manufacturer of laboratory spectrometers, we want to ensure that our instruments are intuitive to use and can be integrated seamlessly into your working environment. For this reason J&M’s latest models of laboratory spectrometers, the TIDAS® L series of diode-array spectrometers, follow an approach of integration. The TIDAS® L instruments feature an integrated PC with a large, high-resolution touch screen running the powerful TIDASDAQ software. The instruments can be run stand-alone or be connected to your network to share the results of the analyses in your organization. The diode array technology gives you rapid results over the full spectrum with each scan. No moving parts in the light path means excellent reproducibility of the results and low maintenance requirements. 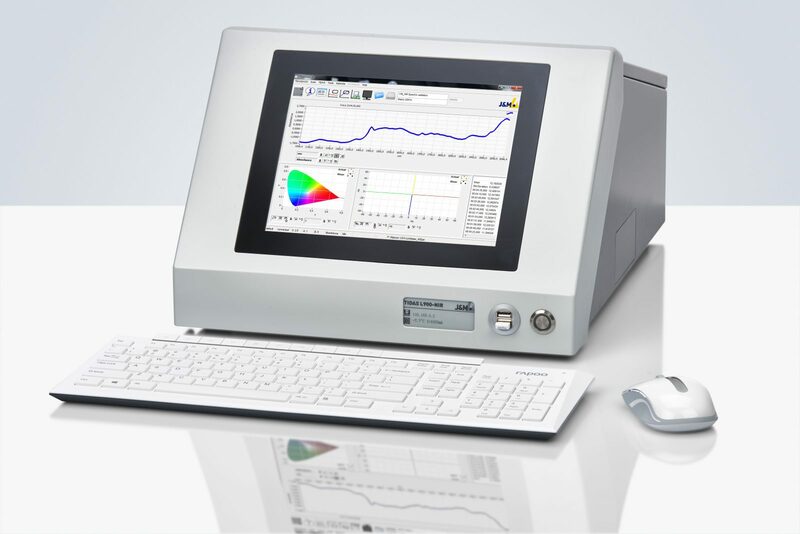 TIDAS® L spectrometers are available in various combinations of wavelengths and detectors. We offer a choice of selected UV/VIS and NIR detectors with wavelength ranges from 190 to 2600nm. 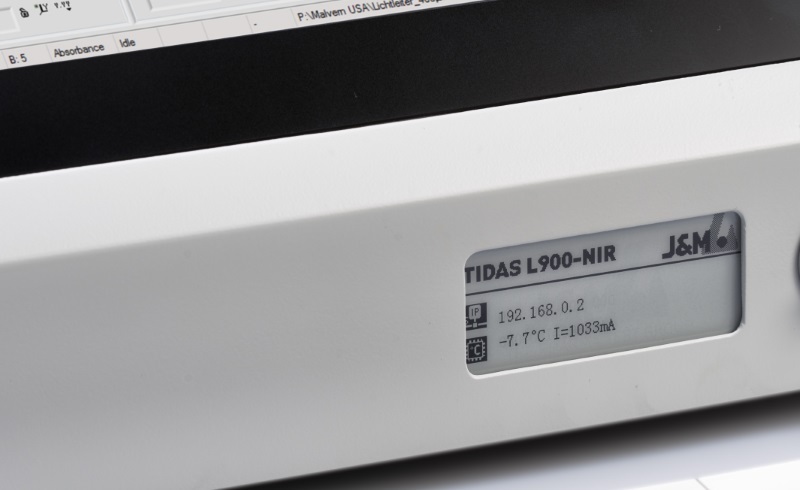 The TIDAS® L spectrometers are supplied with an integrated light source. A fiber-optic probe can be connected. Depending on the selected wavelength, the internal light source will be either a halogen, deuterium or deuterium/halogen combination. A coupling of spectrometers with different wavelength ranges is also possible. You can connect a standard keyboard and mouse to the instrument using one of the USB interfaces on the front side of the instrument. In case the instrument is not connected to a network, the USB interfaces can also be used to export data by using a standard USB flash drive. 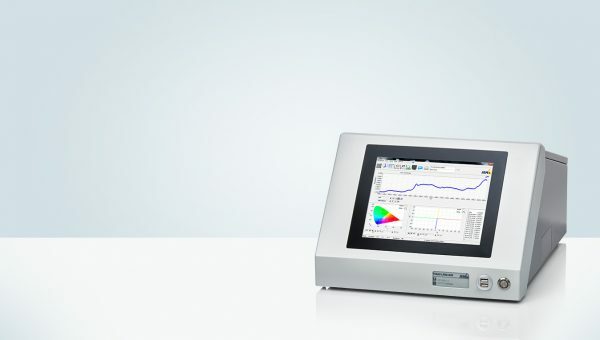 By integrating the PC into the spectrometer instrument the TIDAS® L instruments make excellent use of the limited bench space in today’s typical laboratories. 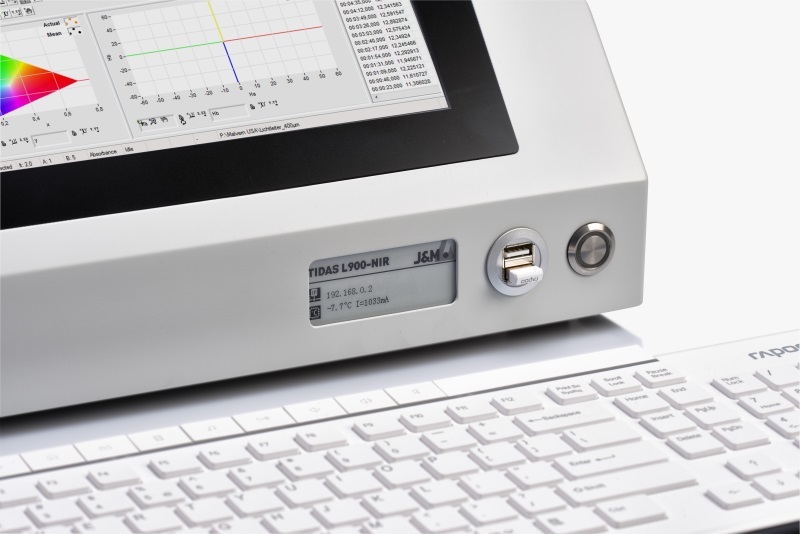 The J&M TIDASDAQ software comes pre-installed and configured for your TIDAS® L model significantly cutting down the time and effort required to setup and implement the new instrument into your lab. E-ink display which acts as a smart type plate. It shows data like the lab asset or inventory number, the date of last calibration or the due date of the next calibration. Due to the unique nature of the E-ink displays, this information remains visible even when the instrument is turned off. This makes it easy to asses the condition of instrument at a glance. Since the TIDAS® L instruments use no moving parts in the light path, these spectrometers are extremely sturdy. Recalibrations are seldomly necessary and a reliable performance over a long period of time is guaranteed. The use of certified optical fibers in combination with optimized measuring cells ensures reliable measurement results. and heads for the measurement of tablets. Besides the measurement of transmission or reflections, fluorescence or emission measurement is also possible. The TIDAS® L instruments are run by the internally developed ASPEN sensor electronics which communicate directly with the integrated PC. The ASPEN electronics is J&M’s 4th generation of electronics and was designed from the gound up with the requirements of diode-array spectroscopy in mind. These electronics enable an outstanding signal to noise ratio and a high speed of data acquisiton due to the included on-board processing. Integration time x accumulation <2 sec.